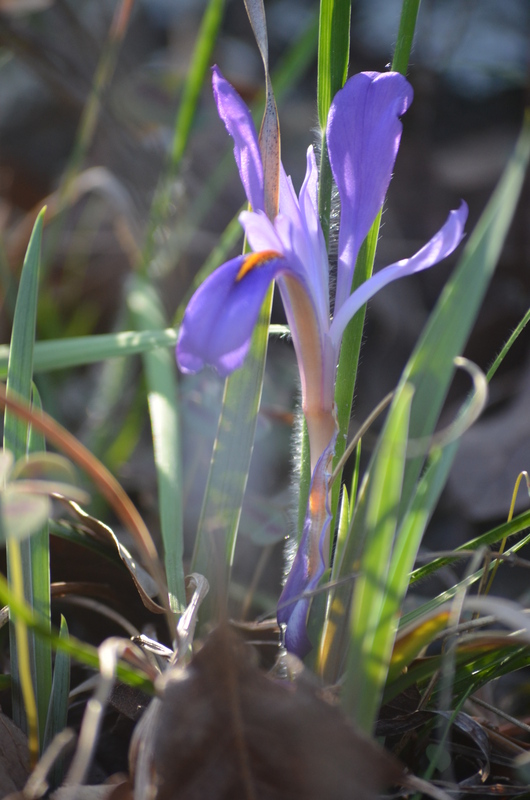 This week the wild iris are in bloom in Alabama. 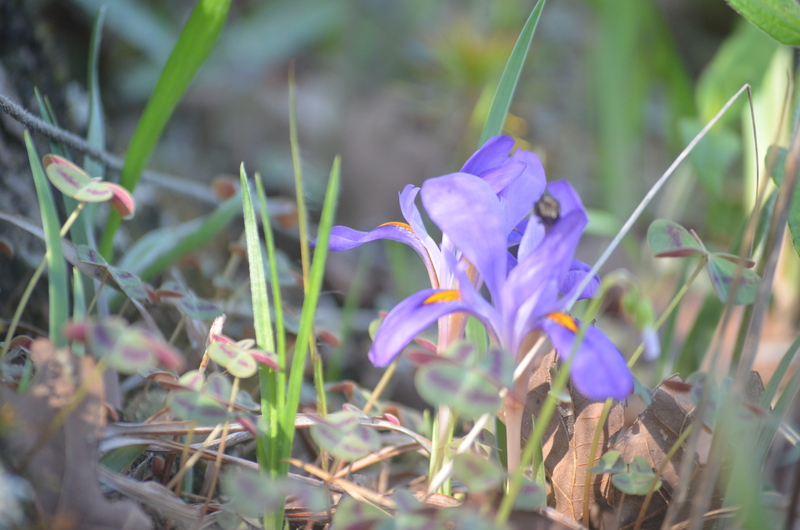 They’re much smaller than the garden variety, but intense and dashed beautiful. They tend to like shady locations. Ours are intermingled with an Oxalis species that has a delicate purple flower, unlike the more common yellow variety. 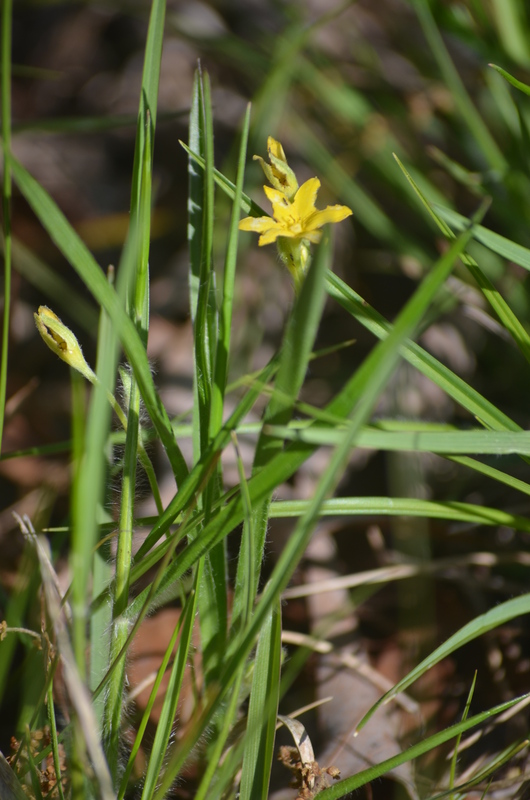 There are several of this small yellow flower as well. These prefer the sun.